The Surrey German Language School offers a 20 credits plan for Secondary Schools. A student completing the following courses/exams at our school will receive 4 credits each for Secondary Schools. 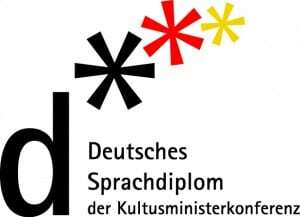 The A2, B1 and B2/C1 are official German Language Certificates of the Standing Conference of Ministers of Education and Cultural Affairs in Germany.